134 mins. Rated PG-13 for prolonged sequences of action violence and a brief rude gesture. Well, Black Panther’s finally here. Compared to every other MCU film to date, Black Panther is one of the titles I hadn’t read until the film was revealed. Like Iron Man before it, I just didn’t know much about the character or the comic, but as soon as I heard about the adaptation and the inclusion of director Ryan Coogler (Creed, Fruitvale Station), I wanted to read as much as I could. Black Panther is under a lot of pressure to be good. Expectations have been abnormally high on this one. How did it turn out? 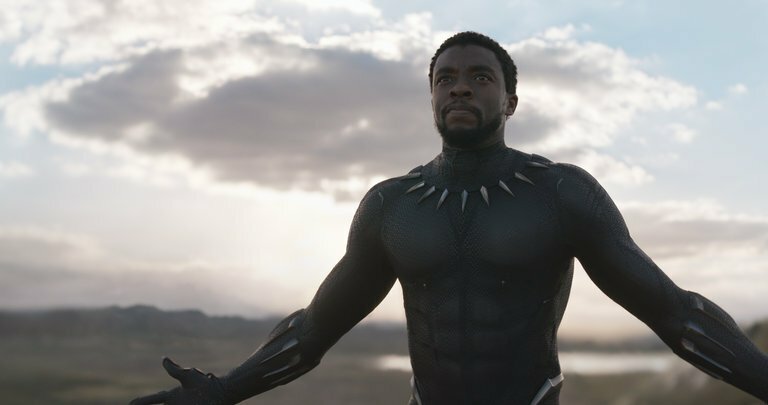 Picking up about a week after the events of Captain America: Civil War, T’Challa (Chadwick Boseman, 42, Marshall) arrives home in Wakanda to claim his birthright as King. 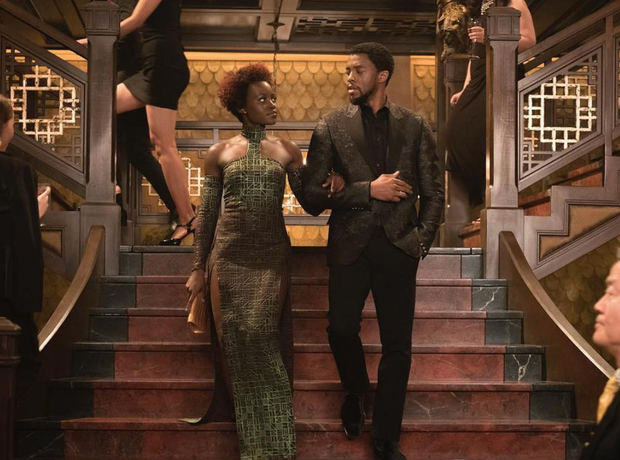 He is reunited with Nakia (Lupita Nyong’o, 12 Years a Slave, Star Wars: The Last Jedi), an old flame who sees Wakanda’s secretive advances in technology as a tool to help the world, but T’Challa believes that revealing Wakanda for what it is puts the country in jeopardy and creates enemies. One such enemy is Ulysses Klaue (Andy Serkis, War for the Plane of the Apes, The Adventures of Tintin), a smuggler and arms dealer, has allied himself with the mysterious Erik Killmonger (Michael B. Jordan, Fantastic Four, That Awkward Moment), who has his own reasons for wanting to reach Wakanda. 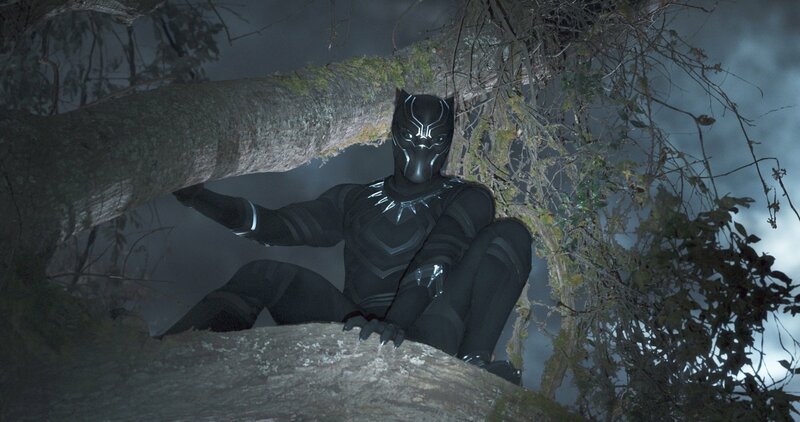 Black Panther is one of the most-layered films in the MCU, and it excels in two areas that MCU films regularly fail: the villain and the music. First, the villain is an interesting and flawed character who has understandable motives in his ultimate quest. Just like Civil War before it, Black Panther presents a very interesting dilemma that has merits on both sides of the argument, and T’Challa is just as flawed with his decision as Killmonger. The music is also a major step up from previous MCU films in that Black Panther has a theme, courtesy of Ludwig Goransson, and its complimented by Kendrick Lamar’s music supervision of the soundtrack. This film has a unique feeling that stands on its own while embracing the tightrope act of the larger MCU framework. Coogler presents powerful themes in the film like Responsibility and Legacy. While T’Challa doesn’t want to lead from a throne, he is challenged by what has come before. He would rather be out hunting for Klaue himself. He looks up to his father but he is challenged by the difficult decisions T’Chaka had to make as king. T’Challa is forced to confront these difficult decisions and their aftermath, further conflicting his views on the legacy that his father left. The way he interacts with Killmonger, too, brings forth conflicts in identity and the question of nature vs. nurture in their lives. I think Black Panther is a hell of a showcase of its principal cast. It’s proof of the incredible amount of top-notch performers of all races. 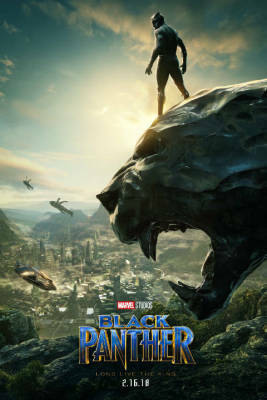 Each role was cast with purpose, from Danai Gurira (The Visitor, TV’s The Walking Dead) as Okoye, leader of the Dora Milaje, an all-female team of protectors, to Forest Whitaker (The Last King of Scotland, Arrival) as Zuri, a spiritual figure in Wakanda who protects a special and powerful herb. Every performer in the film is so precisely cast that you couldn’t see anyone else playing that character. I was especially impressed with Daniel Kaluuya (Get Out, Sicario) as W’Kabi, friend to T’Challa. Up until his role in Get Out, I did not know Kaluuya, but with such a small amount of screen time, he creates a lasting impression in the film. For all the amazing things Ryan Coogler did with Black Panther, one cannot forget that this is a superhero movie in a crowded genre at the beginning of the year. He should be recognized too for the absolutely incredible experience of watching the film. Black Panther was downright fun to watch and be a part of. If you haven’t seen the film yet, I’d advise you to head to your theater immediately to see it in the largest crowd you can. This is probably my favorite film so far this year.